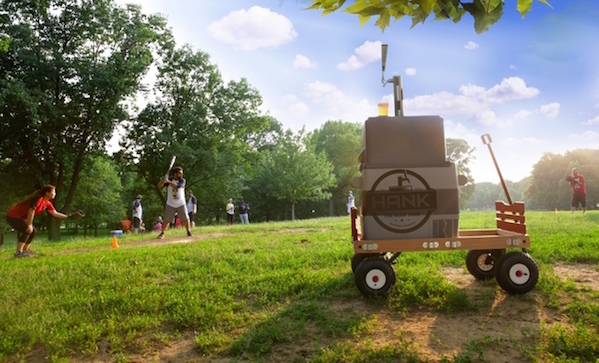 Key fact: Hank the Beer Tank (now on Kickstarter at $750) is half the size of a normal kegerator. That’s because it’s made with a compressed chiller. It doesn’t need water or ice; you just need to plug it in, and you can do that with your car lighter. This thing is going to dominate tail gate season.